Ding-Dong is an iPhone app developed by Astral Vision. This unique social networking app gives users a funny way to connect with real people in real life. 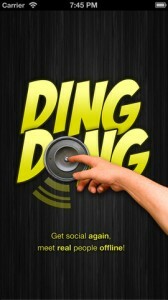 Ding-Dong is part of a burgeoning new field of social apps that are trying to make “social” about actually being social in real life. This has been a big trend of late in the world of online dating, with new dating apps like Badoo and HowAboutWe trying to encourage people to meet offline immediately. Ding-Dong isn’t a dating app, but it does have that same focus on getting people to connect in real life. You have to have a pair of cajones to use Ding-Dong. 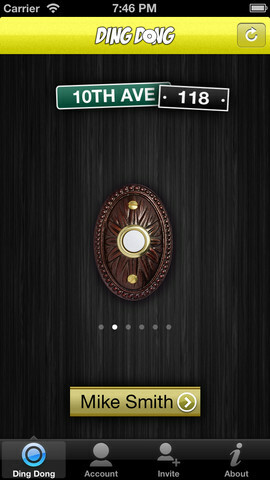 The idea is that you use this app as an icebreaker when you march up to someone’s front door. 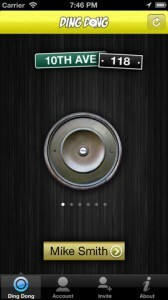 Say you’re new in the neighborhood: The DingDong app shows you at who’s door you’re standing at, and then plays a funny “doorbell” sound effect to get the person to come to the door. Now, letting Ding-Dong access my current location didn’t really work out. When it tried to state my current location, it was off by quite a bit. It got my street right, but not the address: it didn’t even give me a single address, but a range of addresses on my street ranging from #40-#98. That’s a little bit of an issue. 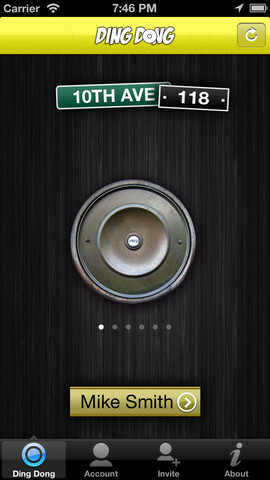 Still, I think this a clever, unique app. 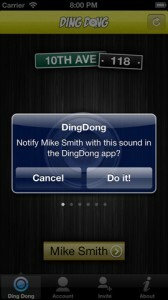 You’ve gotta applaud Ding-Dong for trying to make social apps feel sociable again. If you want to meet people in real life for a change, Ding-Dong is an extrovert’s dream and a funny tool for introverts who need an icebreaker. Ding-Dongis compatible with iPhone 3GS, iPhone 4, iPhone 4S, iPhone 5, iPod touch (3rd generation), iPod touch (4th generation), iPod touch (5th generation) and iPad. 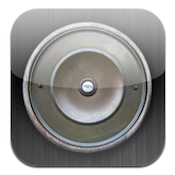 Requires iOS 4.3 or later. This app is optimized for iPhone 5.